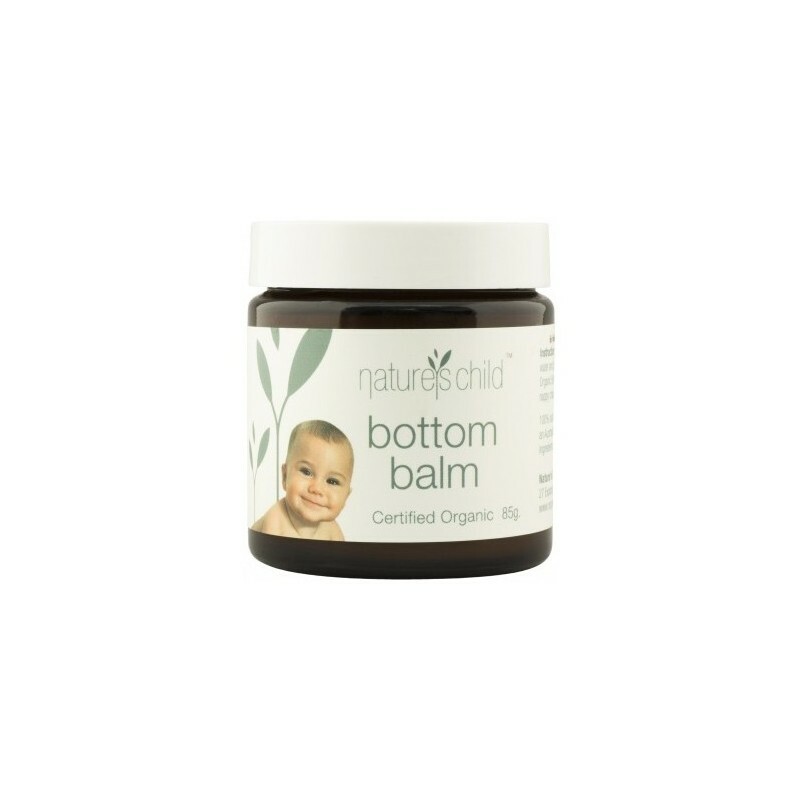 This Certified Organic Bottom Balm is formulated with 100% natural ingredients that work gently to soothe any skin irritation, soreness, or dryness. Ideal for nappy rash. New 85g jar. Packaging can be recycled and reused (glass jar). Best-selling all-natural formula that is safe to use on newborns. Ideal for nappy rash, organic calendula and organic comfrey are two of the best healing herbs for skin cuts, abrasions and sores. Can also be used on other skin irritations, not just nappy rash. Instructions: Clean baby's skin with water and pat dry. 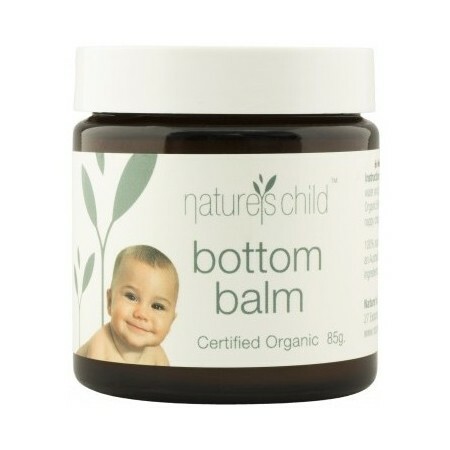 Apply Soothing Organic Bottom Balm before next nappy change. 85 grams / 7cm (height) x 6cm (diameter) / Certified Organic Olive Oil, Certified Organic Sunflower Oil, Certified Organic Almond Oil, Certified Organic Beeswax, Unrefined Certified Organic Calendula infused in Sunflower Oil, Certified Organic Comfrey infused in Sunflower Oil, Natural Vitamin E, Certified Organic Lavender Oil, Certified Organic Chamomile, Roman Oil. I rave about this product to my mum friends. Seriously, between this natural product and only using plain wet cloths to care for two bub's bums now we've virtually never had nappy rash or irritation unless they were already sick. The moment we used commercial wipes their skin would flare up, this product settled it down quickly and gently. This is a soothing and gentle bottom balm. If my baby's bottom is red I dab a little bit of this on and the redness has disappeared by the next nappy change. It's natural, soothing and nourishing. Very happy with it.